NEW: You Can Now Book Your Space Online! 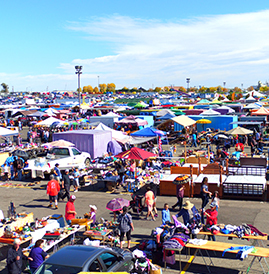 Renting a space to sell your stuff at Mile High Flea Market is quick, easy and a smart way to make some extra money. 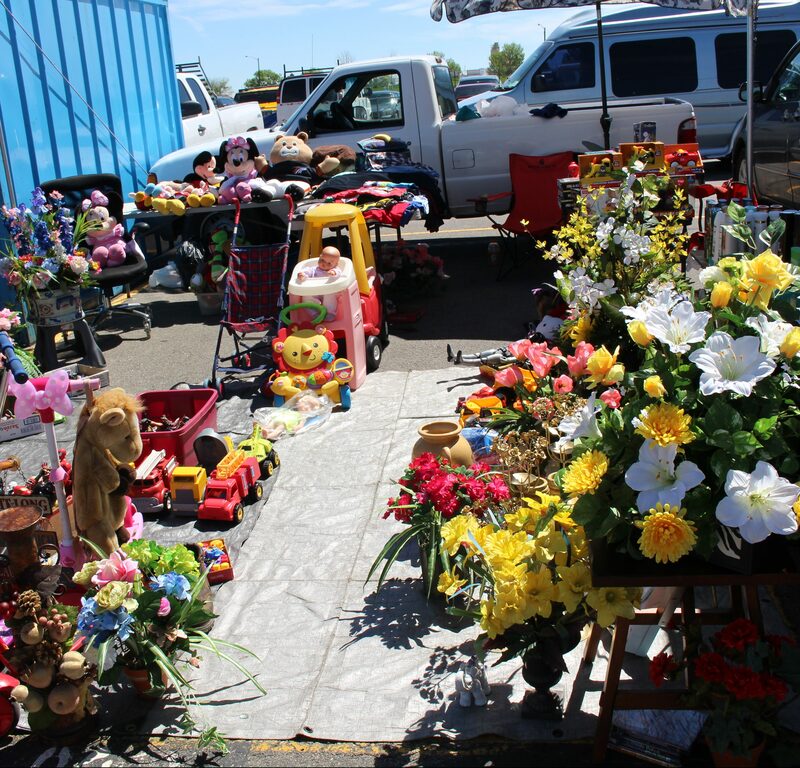 There are outdoor seller spaces Friday, Saturday and Sunday in the main flea market area, which is an ideal location to sell household items or to host multi-family sales. 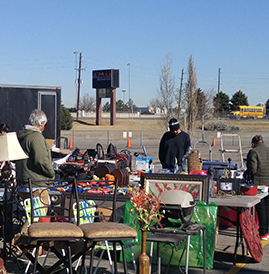 You can order a table to display your stuff, chairs to keep you comfortable, a corner space for maximum visibility and even a storage container if you’re interested in selling for more than one weekend. 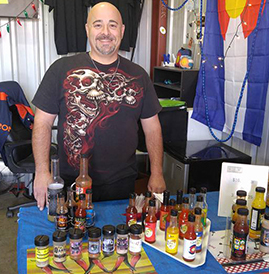 For sellers who wish to become more permanent vendors, opening a Mile High Flea Market shop can be an effective business opportunity. 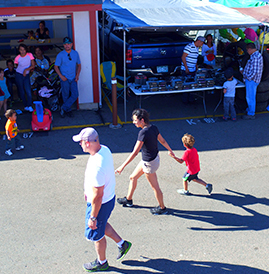 These colorful, enclosed stores range in size from a simple studio to a three-room space to accommodate different amounts and types of merchandise, and to keep goods protected from the elements. 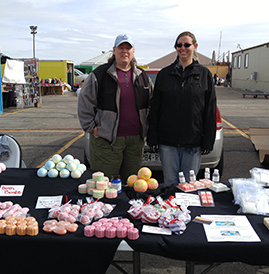 Often new sellers use an outdoor space to “test-sell” new products for a few weekends and, if business is strong, decide to move to an indoor shop at Mile High Flea Market. 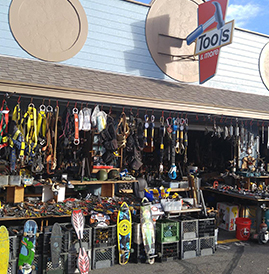 Many of our sellers have been here for decades. 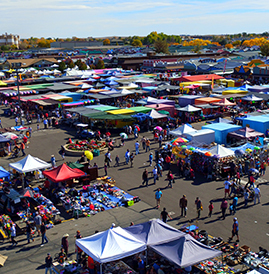 We have received numerous requests over the course of the year for service oriented companies to purchase a selling space and market their products or services to our customers at Mile High Flea Market. Based on the higher demand and to maintain the integrity of the business, effective January 1st, 2016, we will be changing the pricing structure for service oriented companies. Service oriented companies are companies such as phone companies, state companies and other outside service companies such as insurance and healthcare companies. 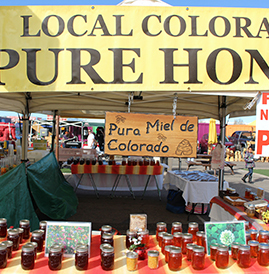 Rates start at $50 Friday and $100 on Saturday and Sunday plus additional taxes and fees. 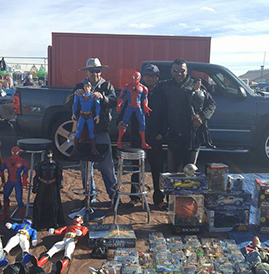 For more information on selling at Mile High Flea Market call the Guest Services Office at 303.289.4656 or write info@milehighfleamarket.com. Download the most current Selling Space Map here. All Outdoor Space Prices Include Pilst Fee And Facilities Charge. Reserving In Advance Allows You To Choose Your Space. 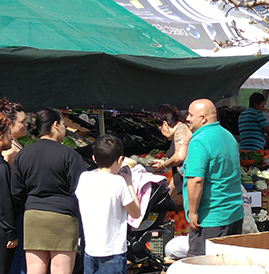 Farmers Market space is available for $56 per weekend. 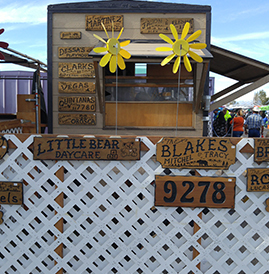 (There is a refundable $50 canopy deposit). Rent is prorated: $10 for Friday, $22 for Saturday and $24 for Sunday. $140 per container per month (must have monthly reservation to rent a storage container); this is a very convenient way to sell without hauling your product home.